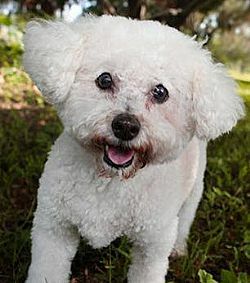 SARASOTA – The Sarasota Bay Water Festival has selected Vintage Paws Sanctuary as its nonprofit partner for 2013. The proceeds from the sale of beer and wine at the event on Saturday, November 2nd, will support the mission of Vintage Paws to provide care for displaced senior dogs. The Water Festival is pet-friendly, but don’t forget your six-foot leash and doggie bags. The outdoor expo is open from 10 a.m. to 5 p.m. and the live music runs from noon until 7 p.m. The purpose of the water festival is to celebrate the importance of Sarasota Bay to the region’s environment, economy and quality of life. Highlights include seven hours of free live music with top performers including Ben Hammond, Democracy, Come Back Alice, Hymn for Her, and Luke Andrews; dragon boat races featuring local and regional teams; fine artists and photographers selling unique gift items; food trucks as well as a beer and wine garden; vintage and new boat displays; four panel discussions on bay-friendly living; the winning submissions to the I Love Sarasota Bay Photo Contest; dip netting and nature walks for kids; and tent exhibits promoting boating, fishing, kayaking, paddleboard sports, scuba diving, and more. The Sarasota Bay Estuary Program (SBEP) is the Presenting Sponsor and HDR, Inc. is the Host Sponsor for 2013. The Water Festival is being supported by 44 sponsors, 82 exhibitors and volunteers from throughout Sarasota and Manatee County. Triple 3 Marketing (T3M) is managing the event. T3M is also the marketing contractor for SBEP and other clients. Raffle prizes include a 12-foot Perception Sport Kayak from Economy Tackle and Dolphin Paddlesports, a Hovie Scout Paddleboard from SUP Sarasota, an 18 X 20 inch matted Giclee print from the acclaimed photographer Clyde Butcher, Open Water Diving Class from Florida Underwater Sports, two-hour excursion on a Yamaha Jet Boat with Sarasota Wind and Water Adventures, a full day bike rental from Freedom 4 Electric Bikes, and a Disc Sports Package from Sun King Disc Sports. The winning raffle tickets will be drawn at 5 p.m. on the music stage.